Wonderfully nutritious and delicious, this warm breakfast cereal is sure to become part of your morning rotation. 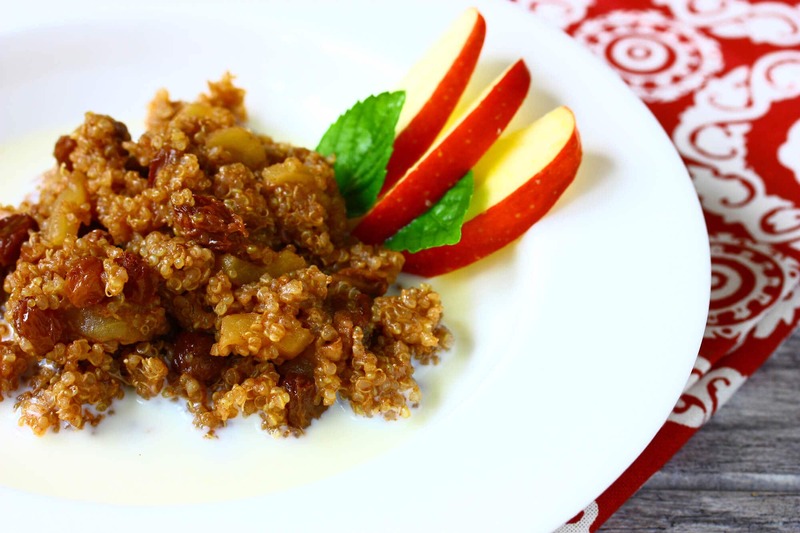 With the warmth of cinnamon, the tanginess of apple and the sweetness of plump raisins, this Apple Cinnamon Quinoa cereal is deliciously flavorful and satisfying. Here is hot breakfast cereal that is absolutely perfect for these chilly mornings. And even on not-so-chilly mornings a warm, comforting and wholesome breakfast cereal is always welcome at my table. Plus it can be eaten cold if you prefer. I’ve drawn my inspiration for this dish from a very similar one my mom used to make us when we were growing up. 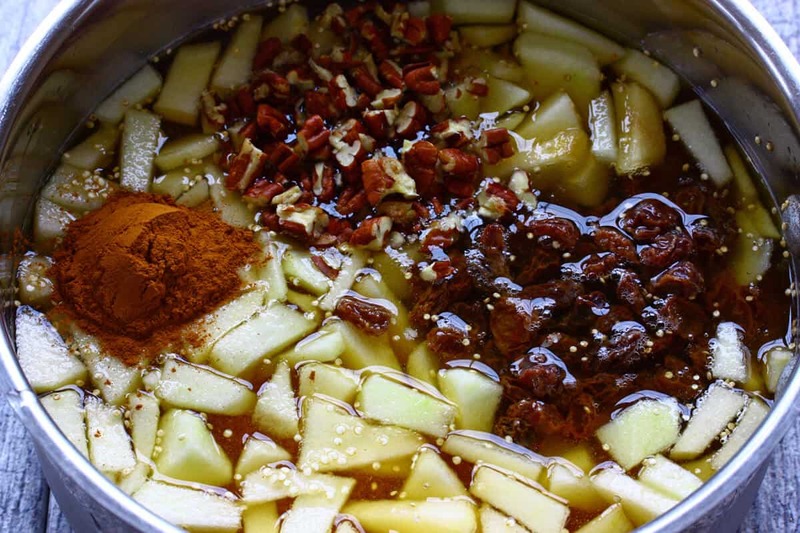 I still remember the scent of cinnamon and apples filling our home as we hurried to get ready for school before sitting down for breakfast. It tasted delicious then and it tastes delicious now. And it’s quick, easy and nutritious. Instead of your usual oatmeal, try this warm quinoa cereal. Packed with protein, quinoa is an exceptionally healthy grain and the only grain that is a complete protein. 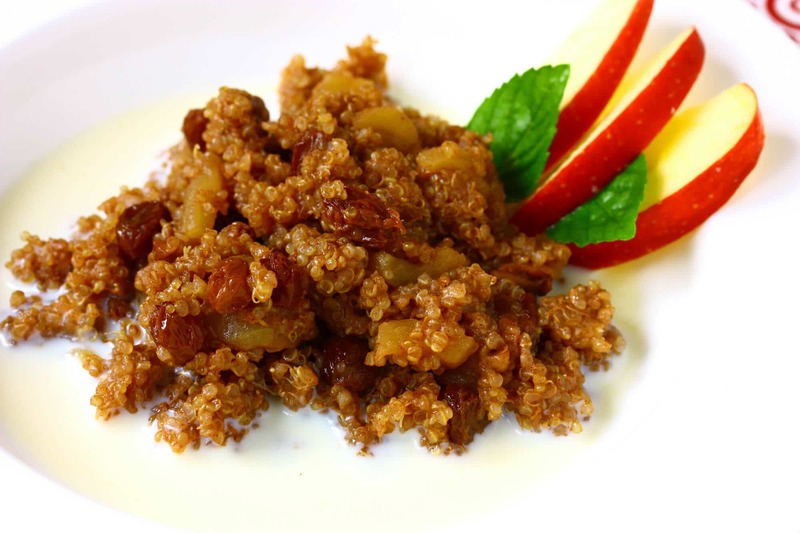 With the warmth of cinnamon, the tanginess of apple and the sweetness of plump raisins, this Apple Cinnamon Quinoa cereal is wonderfully flavorful and satisfying. 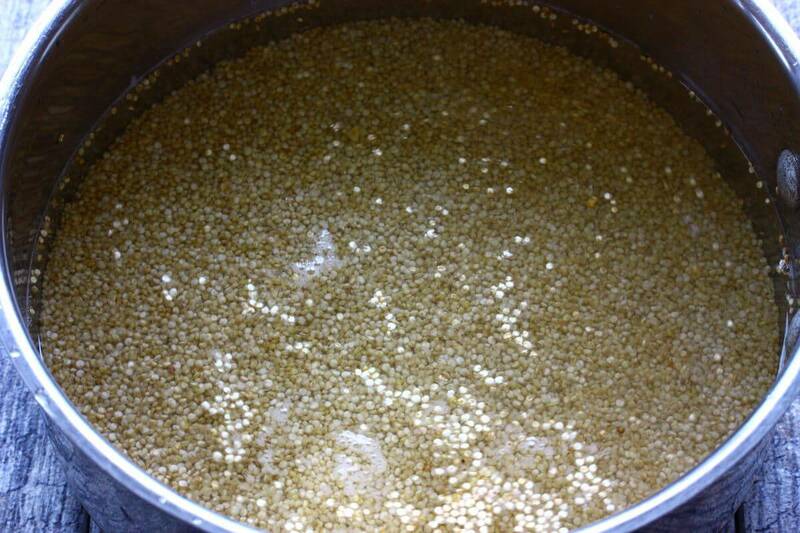 Thoroughly rinse and drain the quinoa. Quinoa contains a coating of saponin which can be toxic at worst and really bitter tasting at best. Add the rinsed and drained quinoa to a medium saucepan with the apple cider. Add all remaining ingredients except for the butter and honey and bring to a boil. Reduce the heat to medium-low, cover and simmer for 15 minutes or until the quinoa is tender. Stir in the butter and honey and serve immediately. You can eat it as is or add a little milk, which I prefer. For some added deliciousness you can also add a dollop or two of your favorite vanilla yogurt. Place everything except for the butter and honey in a medium saucepan and bring to a boil. Reduce the heat to medium-low, cover and simmer for 15 minutes or until the quinoa is tender. Stir in the butter and honey. Serve immediately as is or add some milk to the bowl and/or a dollop of vanilla yogurt (vegan: use vegan yogurt and plant-based milk such as cashew, almond or rice milk). This looks like it would make a super yummy breakfast! I’m such a fan of the apple/nut/spice combo and I can’t think of a better way to start the day than with this! Hearty, healthy, and so delicious! Fantastic! A new breakfast for the family. I love all of the apple flavor in there. I love working with quinoa when making cereal. Loving the apple cinnamon combo! I could start everyday with this cereal! This sounds like a wonderful combination! This looks super comforting and great for breakfast! I bet this makes your house smell AMAZING! I recently saw a quinoa breakfast idea and was wondering why I never tried it before. It seems to be a lovely way to start the day, especially with apples and cinnamon!! 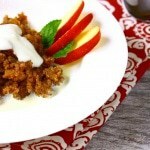 I adore quinoa… this breakfast spin is great! I was starting to get a little bored with my morning oatmeal, so I’ve been experimenting with different grains just to shake up the routine. I never thought to try quinoa, though, which is weird because it seems so obvious now! 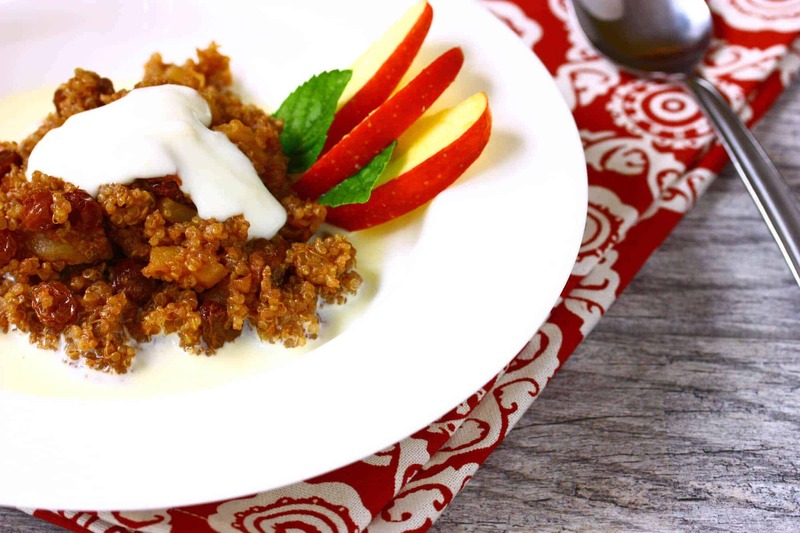 Loving this apple-cinnamon version… it sounds so warm and comforting (and not just because it’s snowing outside right now and I’m craving comfort). I love this idea. 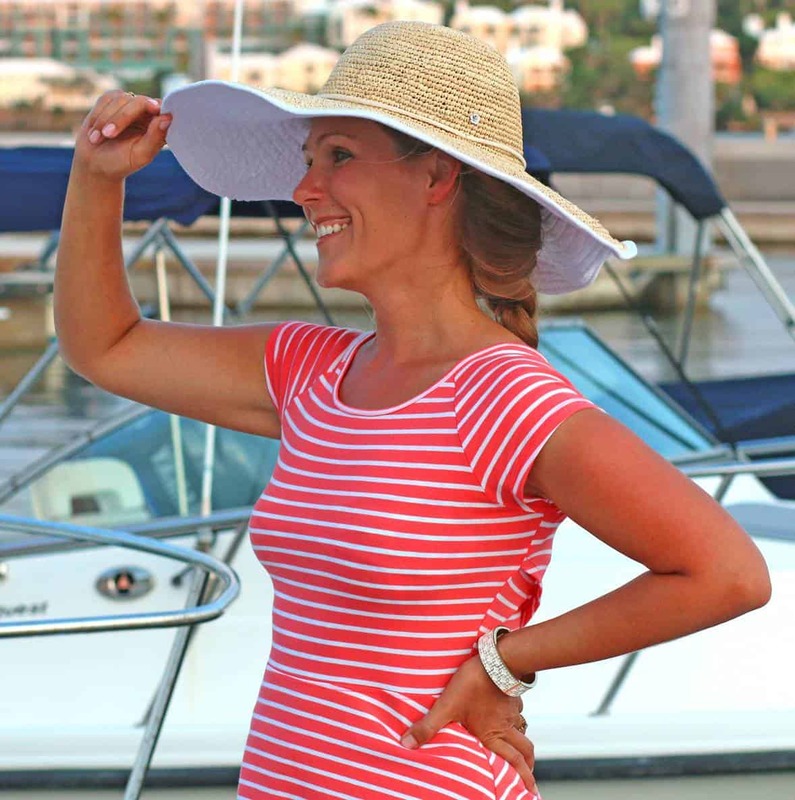 Quinoa has a nuttier taste which I love so I think this one would be right up my alley. It’s still cold here in the mornings too. I am not a fan of this time of year, mostly because I can turn the a/c and furnace on in the same day. I never know what to expect from moment to moment. Yesterday it was sunny, today it’s snowing like crazy. I need a bowl of this to warm me up. I feel like I am swooning over that big pot full of delicious ingredients! I love the idea of cooking the quinoa in apple cider instead of water. Genius!!! I can’t believe how late to the game I am with quinoa and this is just one more reason I am all about it. Sounds delicious! This sounds delightful — and so healthy — can’t wait to try it. A lovely combination, quinoa for breakfast sounds like a great idea! It’s still cold here! I’m ready to switch to a jacket from my wool coat. :) And I love that you used apple cider here. So delicious!